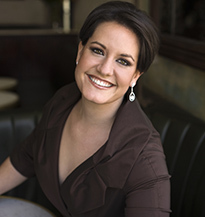 What she's doing with us: South African soprano Elza van den Heever is playing the title role in Bellini's Norma with us this fall at the October 23, 26, 28, and Nov. 5 performances. 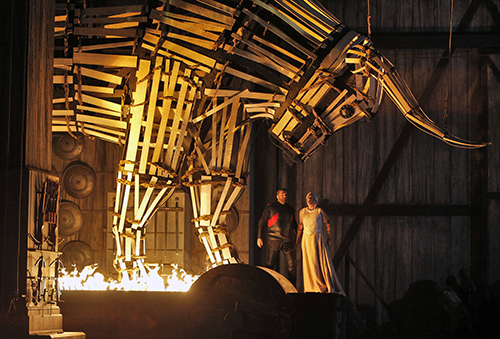 Vincenzo Bellini's Norma, the iconic bel canto masterpiece is set to hit the stage at the Four Seasons Centre for the Performing Arts and kick off the 2016/2017 season. Do you need a quick introduction or a refresher course on some key concepts? 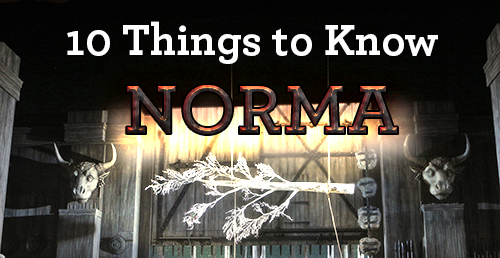 Here are 10 Things to Know before you go! Norma, a druid priestess, is torn between love for those she leads, and a secret passion for Pollione, the Roman enemy of her people. She bears him two children before discovering he has begun an affair with her younger acolyte, Adalgisa. From the entangled story lines of Norma, Pollione, and Adalgisa, to the underlying conflict between the Druids and the Romans, Norma is all about relationships. Join us as we introduce you to some helpful background information on this masterpiece, and give you an inside look at the complicated love triangle.